→His voicebank's filenames are encoded in kana and need to be converted into romaji by Western users. Personality: Often depicted as a tired, lazy, boy who likes to eat. 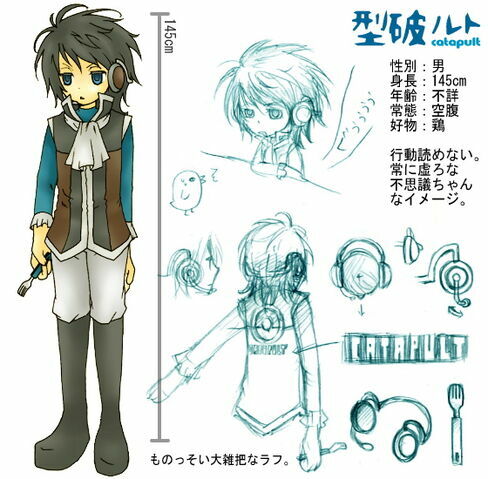 He can also be called "Catapult", because "Katapa Ruto" written directly in katakana reads "Catapult"